The Valle Monte League and the Winchester Mystery House have been collaborating on community giving for more that 30 years. Since 1987, San Jose's #1 attraction has donated packages available for auction bidding ranging from VIP Group tour tickets, to private parties for up to 100 people. The relationship between these two organizations has enabled a community awareness of many non-profit organizations including Bill Wilson Center, Services for Brain Injury, Alzheimer's Activity Center, Family Services, Centre for Living with Dying, and many others in the San Francisco Bay Areas. 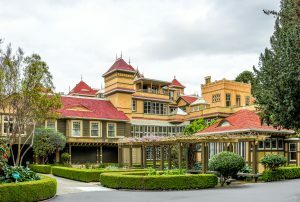 For years the Winchester Mystery House has sponsored ads for Christmas Tree Elegance and donated planning meeting space for our signature event planning meetings in addition to donating live and silent auction items for the Christmas Tree Elegance events. 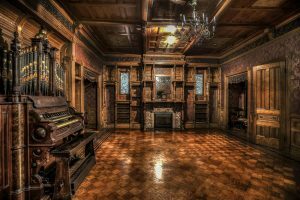 The Winchester Mystery House and Valle Monte League are hosting the best party in town on Saturday, March 16, 2019! 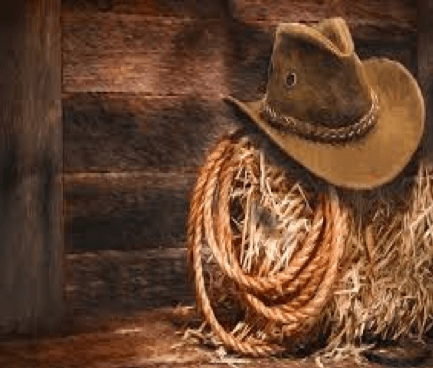 Enjoy an evening of delicious food, country music, dancing, games, old fashion photos and …. show horses! 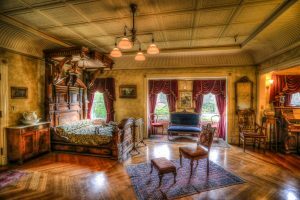 Tour guides will take you back in time as they tell the story of the House during a customized tour. This is a once in a lifetime experience that you do not want to miss!!! Today you can tour through 110 of the 160 rooms of Sarah’s stately mansion, known around the world as the Winchester Mystery House, and see the bizarre attributes that give the mansion its name: a window built into the floor, stairs leading to ceilings, doors that open onto blank walls, and a seeming obsession with the numeral “13,” cobweb motifs. 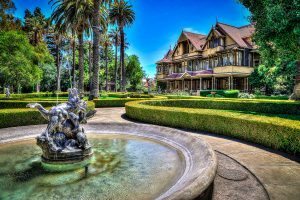 Check out the Winchester Mystery House's Website to learn more about tours and private events!